Tele Visions is a series of events and broadcasts planned to mark the end of analogue TV transmission in Sydney this December. Co-Directors; Emma Ramsay and Alex White are in residence at Metro Screen producing the event and reflect upon the cultural significance of this moment. What is significant about the shutdown of analog TV in Australia? How is it that the end of a 57 year old platform that has dominated the media landscape for much of this time could fade away with no attention paid to its cultural significance, whatsoever. Clearly for many people TV has seemingly just continued on in a digital form. Tele Visions would have you think otherwise. Future-proof your career by learning the latest techniques for creating story worlds across different platforms. You will learn the skills to cover a variety of content making roles, with an understanding and qualification in transmedia storytelling. Ok this is a complete game changer – imagine screens everywhere, on pretty much any surface. If you thought the demand for video from the advertising and marketing industries has increased, its about to go off the chart. Enter Vidioh, ultra-thin LCD screen technology. Wow. For all those working or aspiring to work in the interactive multiplatform arena - the Storyworld Seminar expert panel will walk you through developing, producing and gaining investment for projects, using lots of case studies including: ‘Precinct 13 for NBC/Universal’ and ‘Storm Surfers’. Are you Indigenous and want to work in film or TV? Metro Screen has free short courses, scholarships, story development workshops as well as funding for broadcast with NITV for Aboriginal and Torres Strait Islander creatives. RSVP to the free Info Session 6 Aug to find out how we can give you a head start. Directors are the visionaries that bring stories to life. Through determination, creative choices, team leading and personal taste the director turns a script in to an experience that takes the audience on a journey. Each director has their own style of telling stories, that’s not something we can teach you, that’s why it’s called a craft. 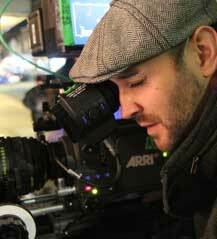 What we are here to do is give you the skills and background knowledge you’ll need to turn your vision in to reality by learning the craft of directing. The Production Manager runs the day-to-day production – logistics, contracts, office and practical operations. They report to the Producer who works hand in hand with the Director to bring the vision to life. Production Managers are very much in demand, they are the backbone of any successful production and get noticed in the industry. This part time short course is accredited and will give you the confidence to know what you are talking about in potential job interviews. Finally you can shoot true digital cinema film footage with a camera that won't blow the budget. The Blackmagic Cinema Camera is great for all production sizes achieving cinema quality pictures with the ease of digital production, it’s the perfect solution for all camera departments. 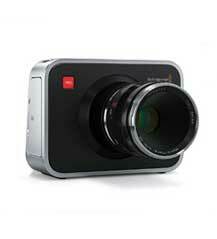 It features an amazing 2.5K image sensor with a wide 13 stops of dynamic range, making it a true digital film camera. We are looking for an enthusiastic intern assistant fundraiser to assist the director with fundraising for a social justice documentary, High Risk. This is a great place to get your skills up with producing and also be on the fore front of documentary. This documentary project is about the GLBTI community. Applications for the 2013 Natalie Miller Fellowship grant of $10,000 will open on Monday, July 1, 2013. The grant provides financial assistance to women working in the screen industries, to pursue professional development in their fields through attachments, internships, secondments, travel and other means. The NMFellowship is open to Australian women working in the screen industry who have demonstrated initiative, entrepreneurship, excellence and the potential to inspire and provide leadership. Frame by Frame, Korean cinema from script to screen is your lead up to the biggest Korean film event in Australia, KOFFIA Korean Film Festival. The exhibition will be the first to reveal the films for KOFFIA 2013 and give a glimpse into the history of our regular Korean film screening event, Cinema on the Park (COTP). Frame by Frame, Korean cinema from script to screen exhibits the original storyboard of the Box-office hit, Masquerade (2012) drawn by Korean storyboard artist group, Contibrothers, who have recently finished working with Park Chan-wook’s Stoker. Only One has been selected to screen at the Rhode Island International Film Festival. The film premiered at this year’s Palm Springs International Film Festival. About the film: Alex is 25, single and lonely. Unable to deal with life as a singular person any longer, she decides to invest in the services of Doppelganger Locator in an attempt to ‘find herself’ and the meaning of happiness. Kill Switch has been accepted into the Dragon Con Independent Short Film Festival. Dragon Con is the world’s largest Fantasy/SF convention. An injured ex-bomb disposal technician laments over the path his life has taken after his return to society; from being contently part of the system to opposing it with a vengeance. With an extraordinary flair for code breaking and razor-sharp intelligence skills, four seemingly ordinary women become the unlikely investigators of a string of grisly murders in this original thriller, set against the backdrop of post-war London. Its 1951 and Susan, Millie, Lucy and Jean have returned to post-war domesticity, modestly setting aside the part they played in the Allied victory.